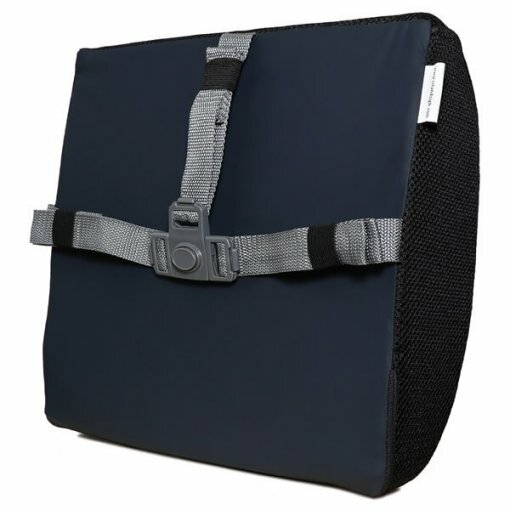 Cradle your back with adjustable ergonomic support for the office, home or car. 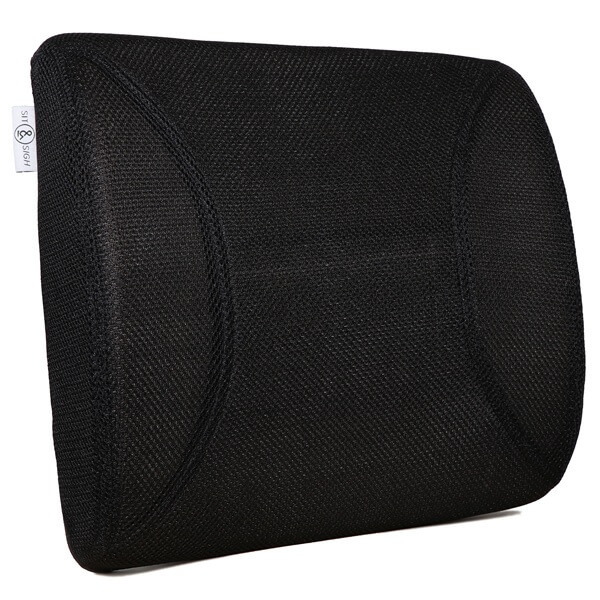 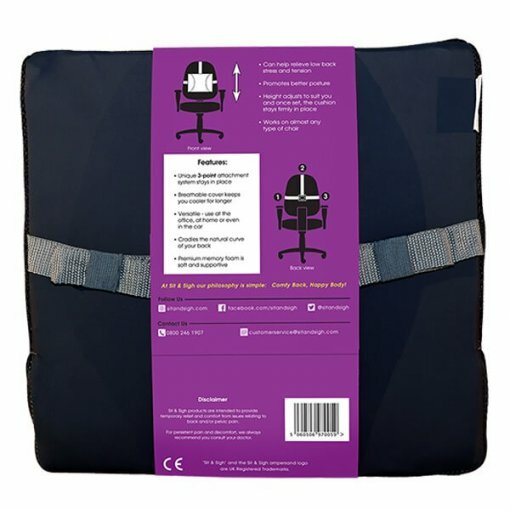 The ultimate ergonomic support cushion for the office, home and car*. 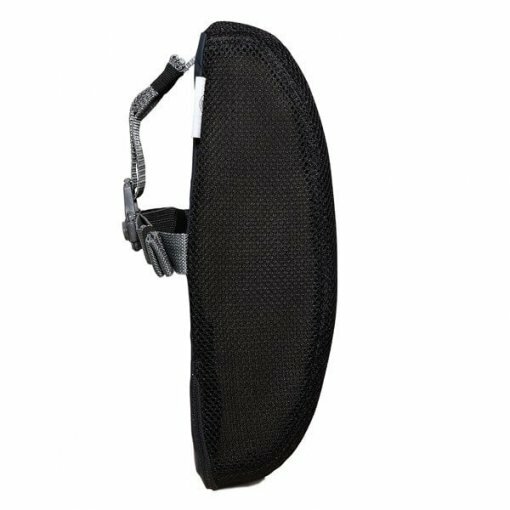 Designed to offer lower back support and help improve your posture. 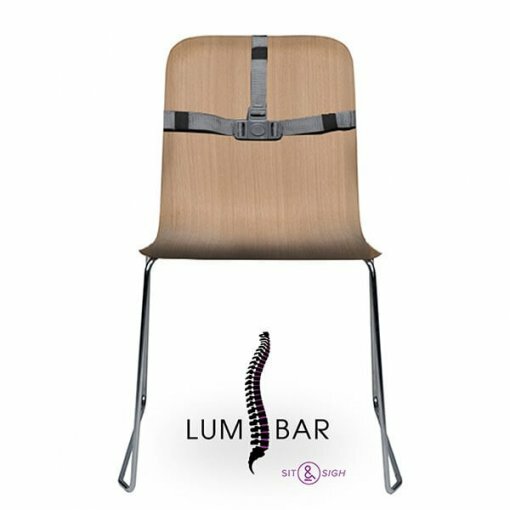 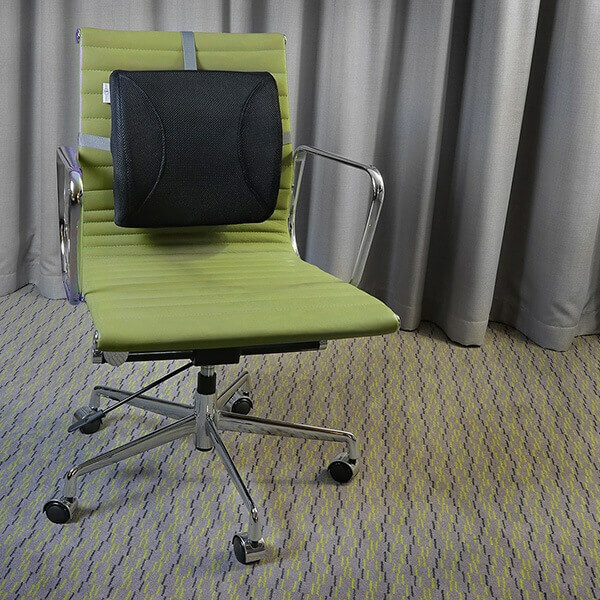 Adjustable height to suit you, the Sit & Sigh LUMBAR stays in place thanks to the 3-point strap system and anti-slip backing, which ensures a secure and stable attachment to any chair. 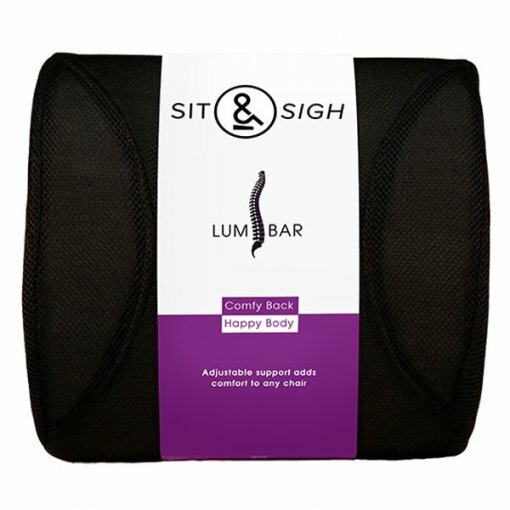 High quality memory foam offers firm but comfortable support. 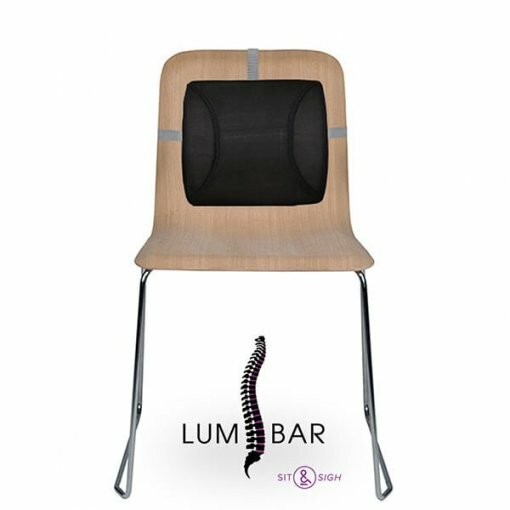 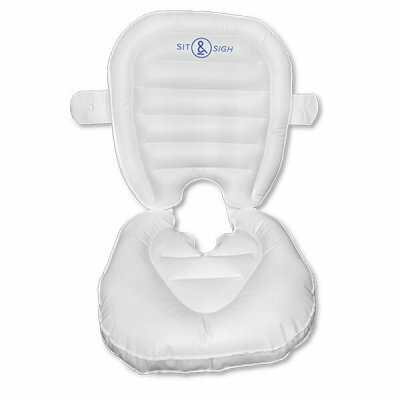 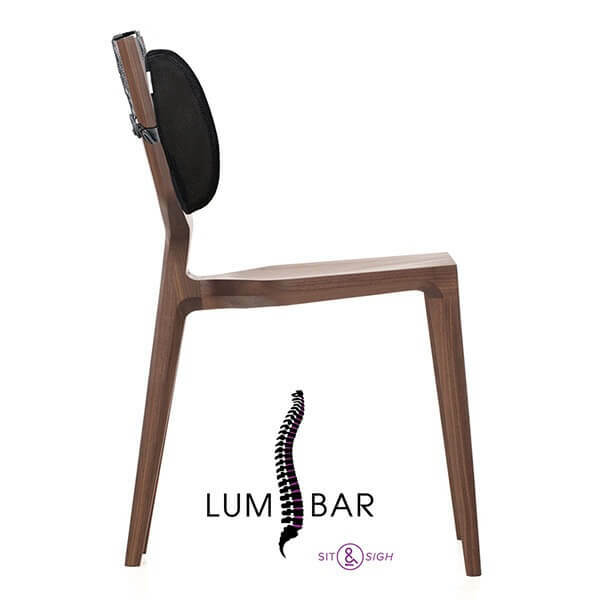 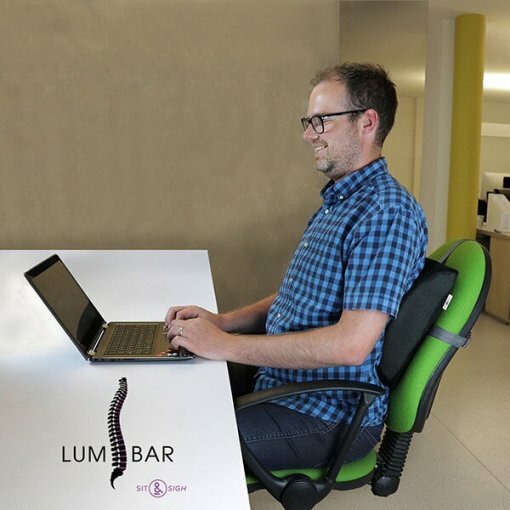 Great for reducing strain on your back from sitting for long periods. 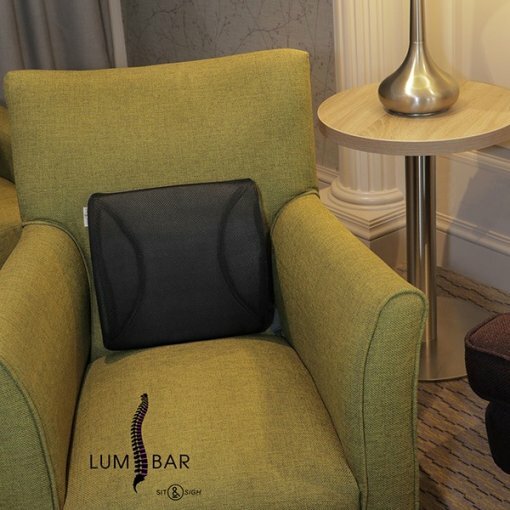 Inverted zippers prevent scratches on leather or synthetic chairs. 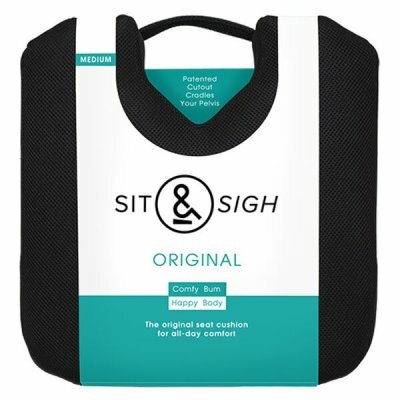 The breathable mesh cover unzips for easy cleaning. *Always ensure you maintain the recommended safe distance from your steering wheel and dashboard.